It’s a great way to use-up spinach that is nearing the end of its life, however it looks incredibly fancy and I would consider serving this as an appy at my next get-together. The onions (and capers – which aren’t photographed here) are a great touch and finish it off just perfectly. Brush the dough with a light coat of olive oil. Bake the plain crust in the oven for about 7-9 minutes. 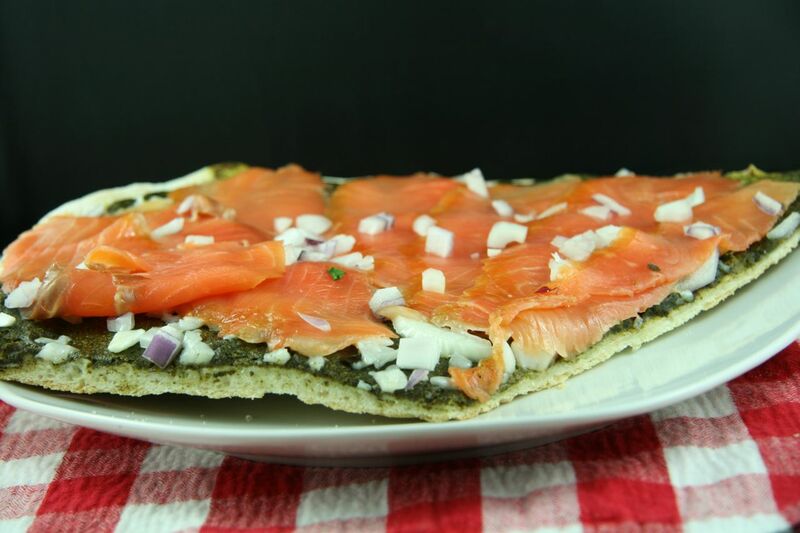 Remove the crust from the oven, spread the spinach and goat cheese sauce onto your crust and place back in over for an additional 7-8 minutes, or until crust is golden brown. 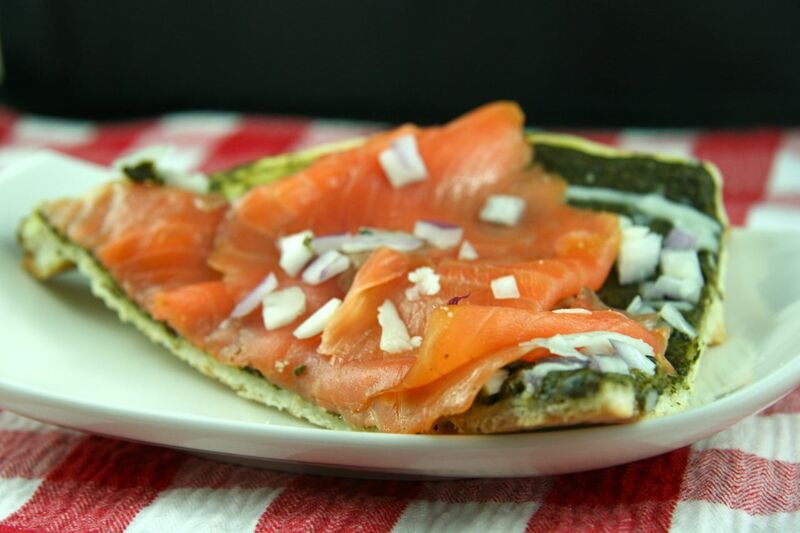 Remove the crust from the oven, immediately top your pizza with the smoked salmon, onions and capers. Serve immediately. What brings people together better than food? Nothing, in my opinion. And nothing better than my Indian Butter Chicken recipe. I can count a few friends that I swear only became good friends because of my butter chicken recipe. 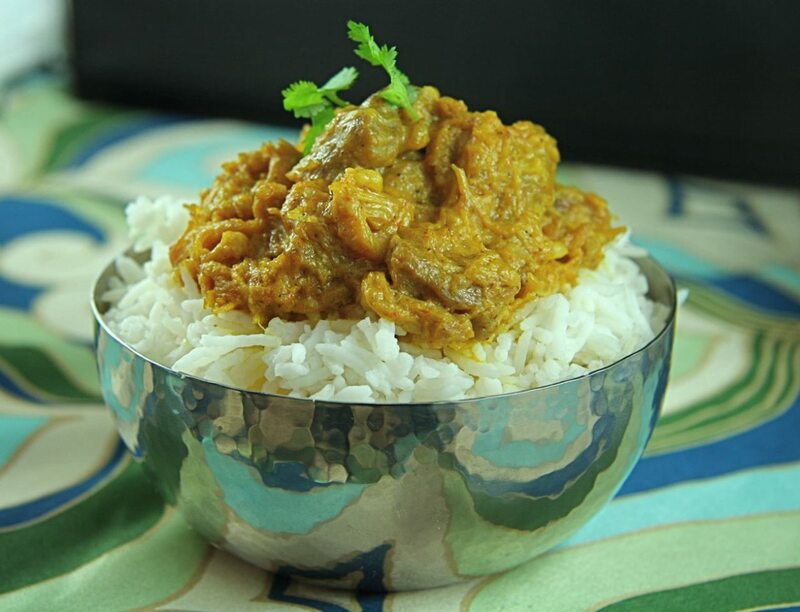 It’s my arsenal for Indian food lovers and has many fans. I remember making it for the first time – it was in our condo in Vancouver about 7 years ago. I’ve made it for friends before the Rascal Flats concert, for non-Indian food lovers who now like it and many times beyond that. Is this recipe healthy? Not exactly, but everything in moderation (unless you are CH and eat more than a regular serving of this!) Nonetheless, it is an easy to prepare. As with a lot of Indian dishes, this gets better with time – so if you are aiming for high-praise, make this the night before you want to serve it and simply re-heat over low temperature the next day. Trust me! In a large glass bowl, mix together the ginger, garlic, green chili, garam masala, thana jeeroo, red chili powder, turmeric powder and salt with 1 TBSP of olive oil to make a spice paste. Add the chicken to the spice paste, mix well and cover the bowl with saran wrap. Marinate in fridge for a minimum of 2hrs (I usually try to marinade over night). In a large saucepan, heat the butter over medium-low heat. Add-in the onions and saute until lightly browned. Add the marinated chicken to the onions and stir. Cover the pan and allow to cook on medium-low heat for 20 to 30 minutes, or till chicken is thoroughly cooked. Stir frequently while cooking. Add the cream to the pan, stir and cook on medium-low heat for 5 to 10 minutes. Add yogurt and water (if you want a thicker sauce, do not add the water). Stir well and allow to cook for a minute or two. Add in the tomato sauce and allow to cook for an additional 10 minutes over low-heat. Keep warm until ready to serve*. 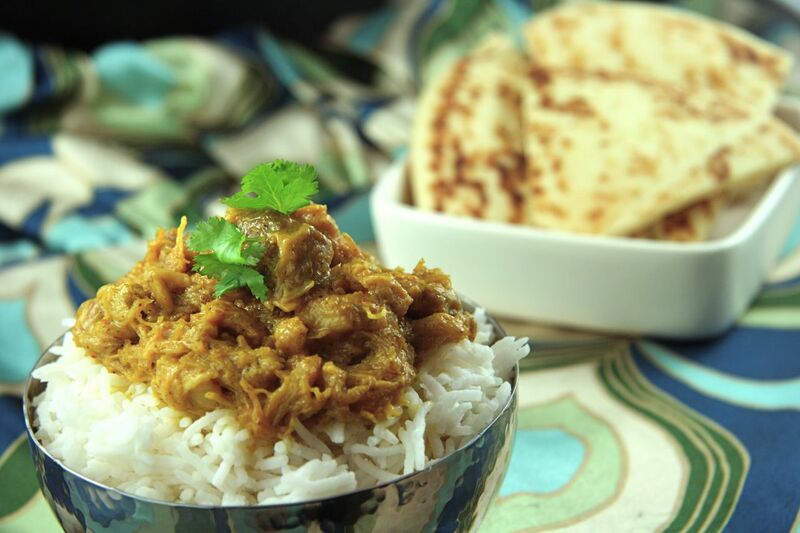 Garnish with cilantro and serve with basmati rice and naan bread. *If you are making this ahead for the next day, simply allow the dish to cool, cover and keep in the fridge. When ready to serve, place it back in a sauce pan and re-heat over low heat. I sometimes add a bit of chicken stock to the pan while re-heating if the sauce becomes too thick.